The Philips Series 1000 Dry electric shaver features Multi-directional Flex Heads to easily shave every curve of your face and neck for ultimate smoothness. 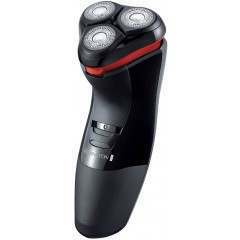 Enjoy constant power with corded operation and keep the shaver in tip top condition with the use of the cleaning brush provided. Trim and style around the edges? 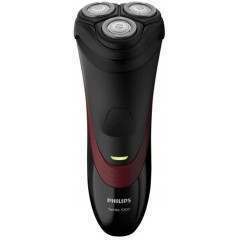 The Philips S1100/04 Series 1000 Dry electric shaver is an easy and convenient shaver with 4-direction Flex Heads, combined with a CloseCut blade system for a superior close shave. 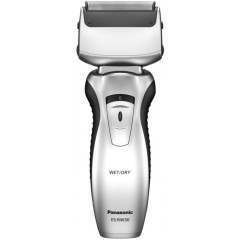 The Flex Heads have 4 independent movements which adjust to your facial contours, making it easy to shave those difficult areas. 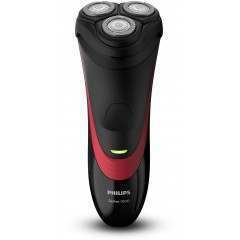 Maintain the shaver with ease by simply pressing a button to pop the heads open, then use the provided cleaning brush to sweep away any loose hairs. 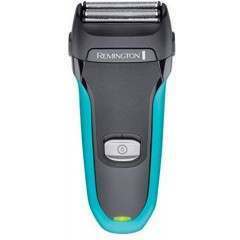 Designed to be ready every time you are, this share has corded operation for constant power, giving you a reliable shave every time. 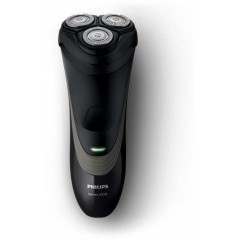 No need to worry about the battery cutting out on you mid-shave! Just perfect for my brother-in-law . 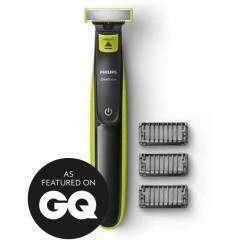 A no fuss very reliable product. (the new dog chewed the previous one) Great value and excellent delivery service. 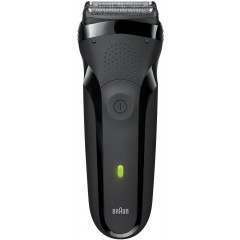 Beats Amazon for price and delivery and the shaver is perfect for giving me a no nonsense shave. The mains lead is a good length so if you dont have a wall outlet in the bathroom you'd still be able to plug in elsewhere and get the job done.